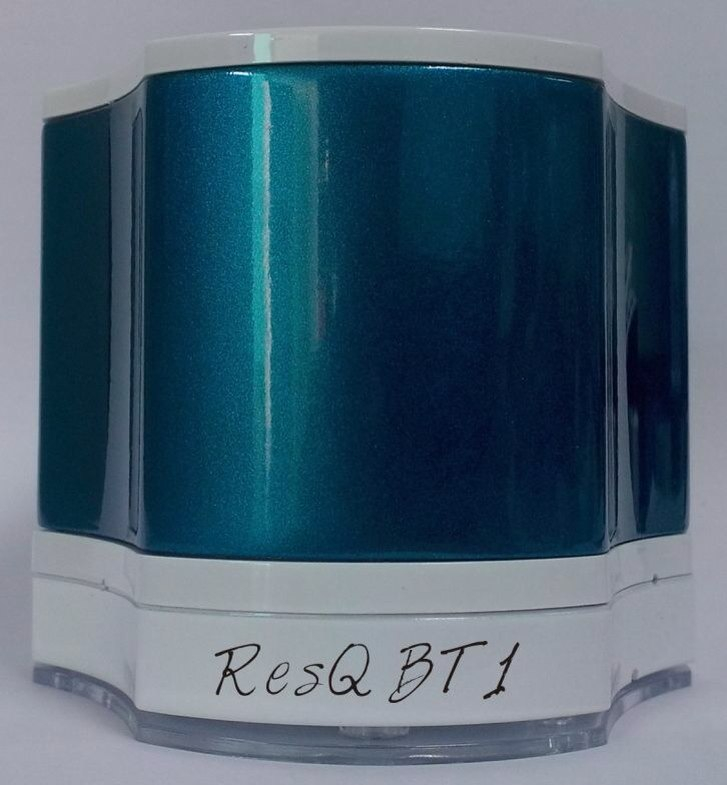 Designed by a profesionnal DJ, for all music lovers, the ResQ BT1 is a high quality limited edition portable bluetooth speaker. It features hands-free function, SD Card reader & USB port, line input, FM radio. 4 colors to chose from: Scarlet Red, Sky Blue, White Ghost and Black Shadow. 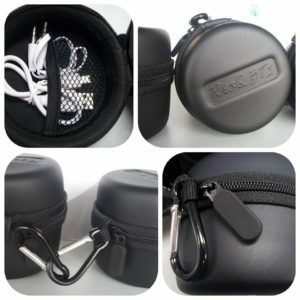 Shipped with a high quality Ballistic Nylon EVA case with snap-link + audio and usb cables. 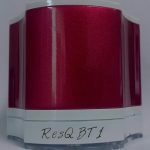 Crée par un DJ professionnel, pour tous les amoureux de musique, le ResQ BT1 est un haut-parleur bluetooth série limitée. 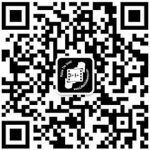 Fonctions kit mains-libres, lecteurs de cartes SD et port USB, entrée ligne, radio FM. Il est disponible en 4 couleurs: Scarlet Rouge, Sky Bleu, Ghost Blanc et Shadow Noir. Livré avec un étui haute qualité en Nylon Ballistic avec mousqueton + cables audio et USB. 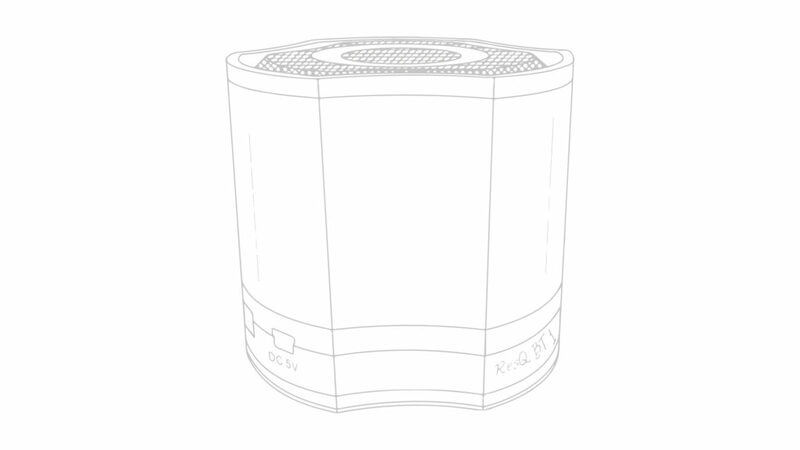 Bluetooth allows you to connect your ResQ BT1 portable speaker to your smartphone, tablet, pc, and mac, letting you create a totally wireless sound system. Play music, Skype or phone your friends and talk handsfree, the ResQ BT1 will satisfy all your needs! 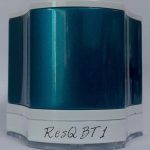 Thanks to it’s built-in MicroSD card reader, and its 2.0 USB port, the ResQ BT1 will let you play your favorite music completely independently. No strings attached, even without any Bluetooth or audio devices available at all. 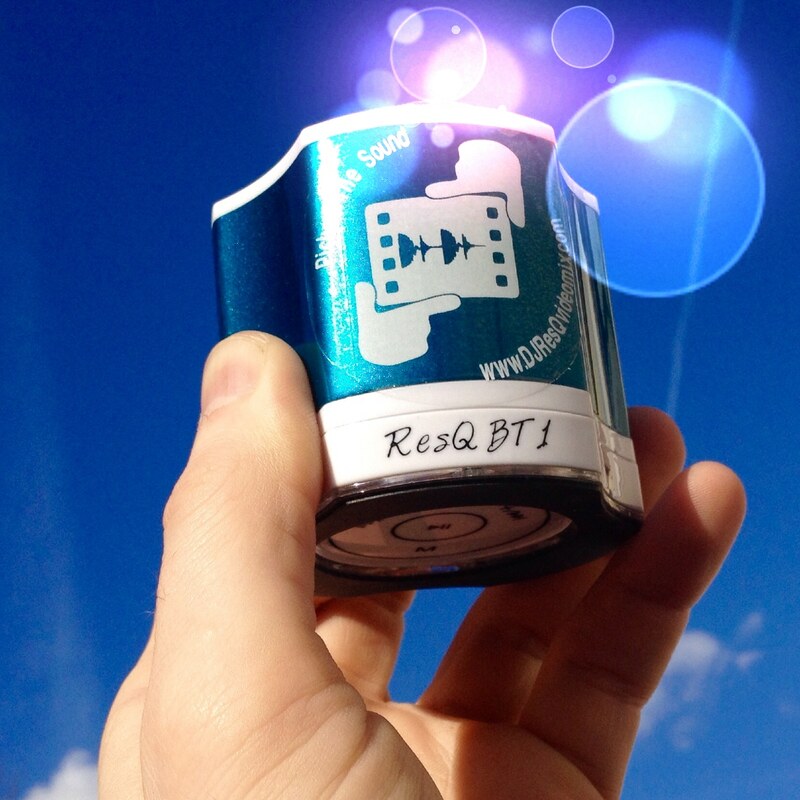 Just insert your microSD card or USB stick loaded with your mp3s, and let your ResQ BT1 operate on its own. 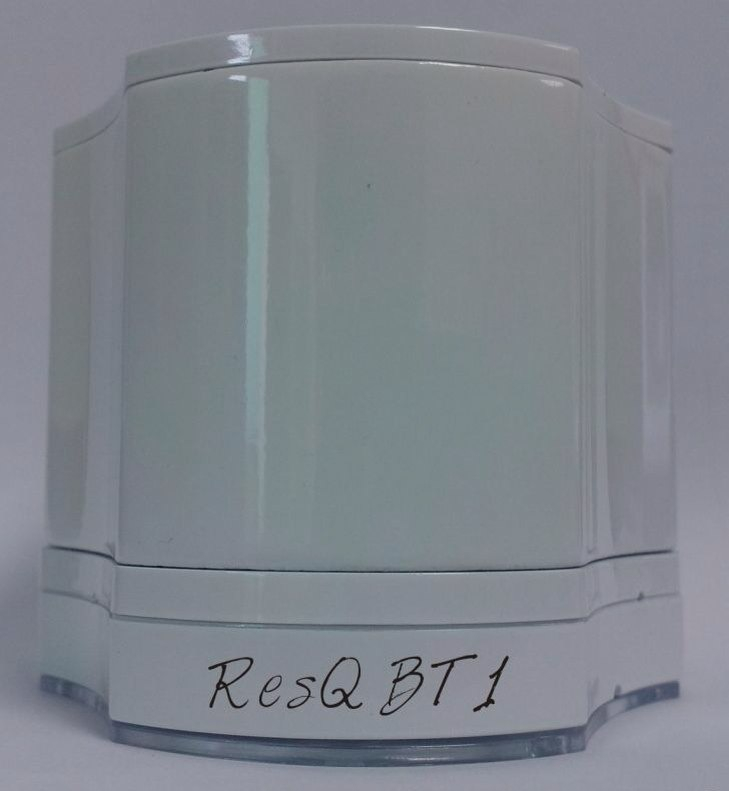 Battery life on your ResQ BT1 won’t be any problem for you! If you like to party on the beach for hours, or you are on a camping trip and don’t have any electricity, don’t worry: ResQ BT1’s durable 750mAh battery will last for 10 hours at 60% of volume! 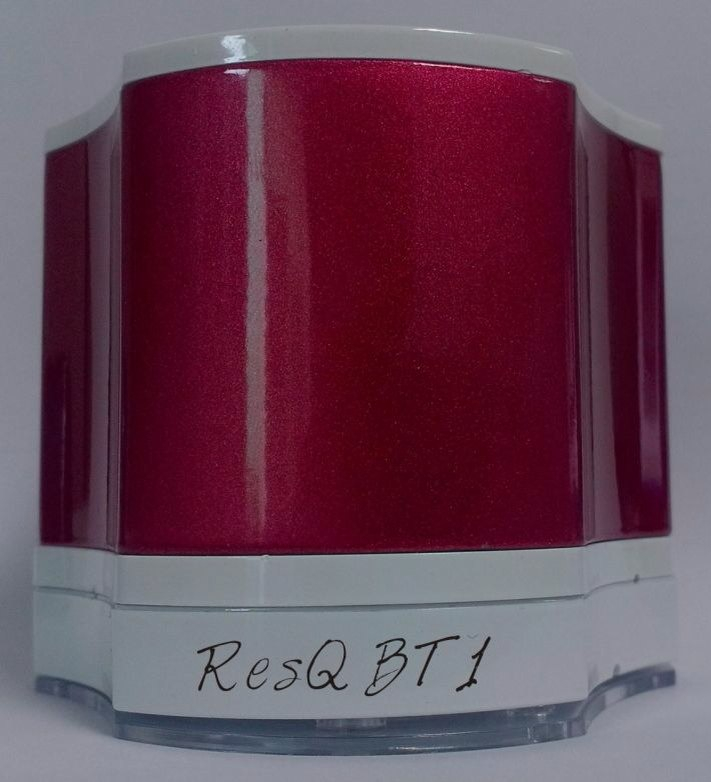 The ResQBT1 has a line input, so DJs on tour can plug it to their mixer while in their hotel room. 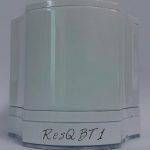 Plug your ResQ BT1 straight to your phone, tablet, pc, mac, or any device equipped with a line output, for longer battery life, no bluetooth latency and ultra high quality sound. for storing your speaker safely when you are not using it. Download your user manual in PDF here.